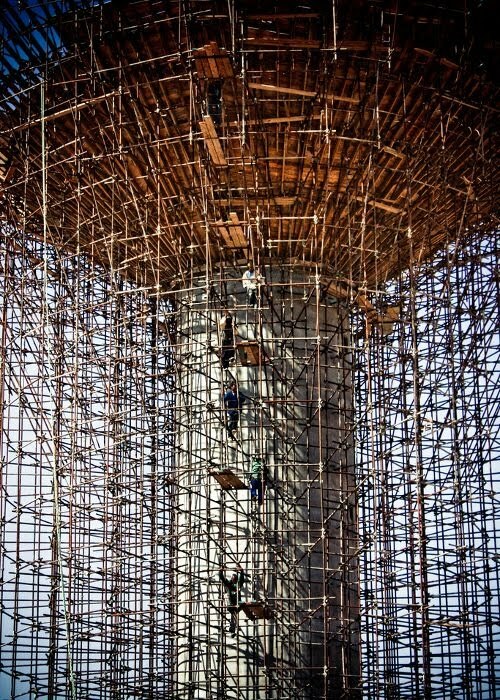 From a distance, scaffolding looks like a maze of criss-crossing steel pipes that encircles a building. 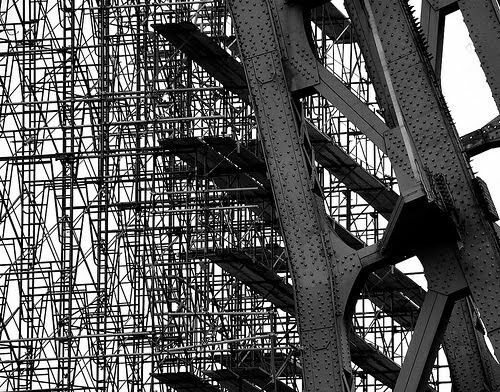 But peer closely and you will realize that complex and precision engineering is at work behind the lattice. 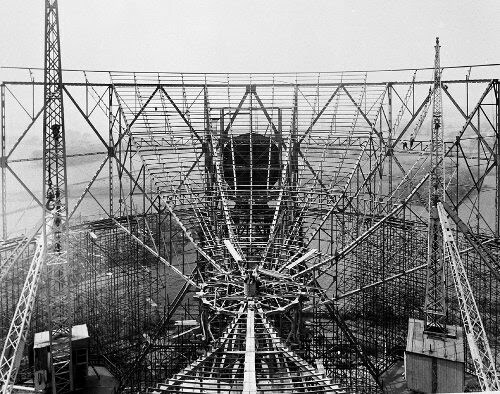 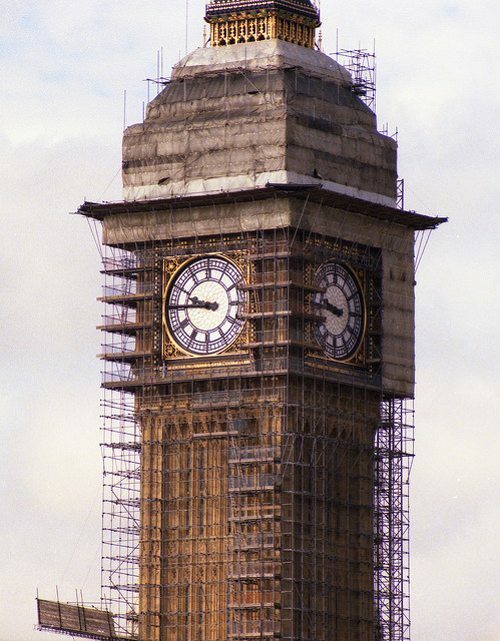 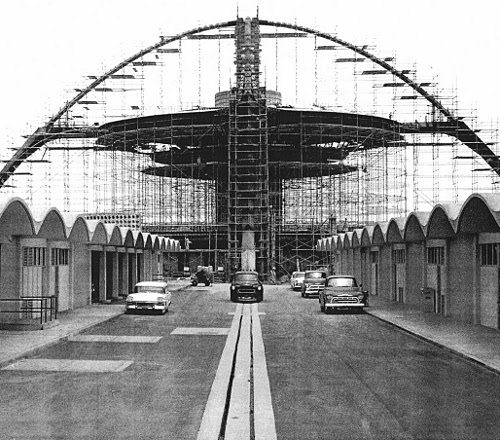 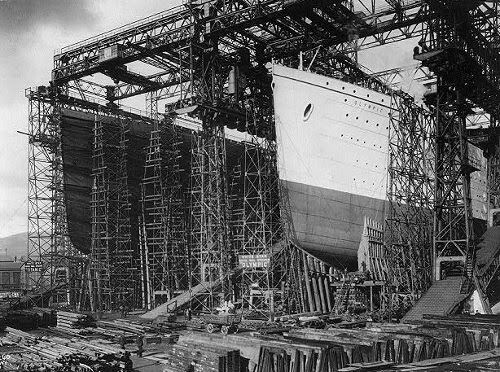 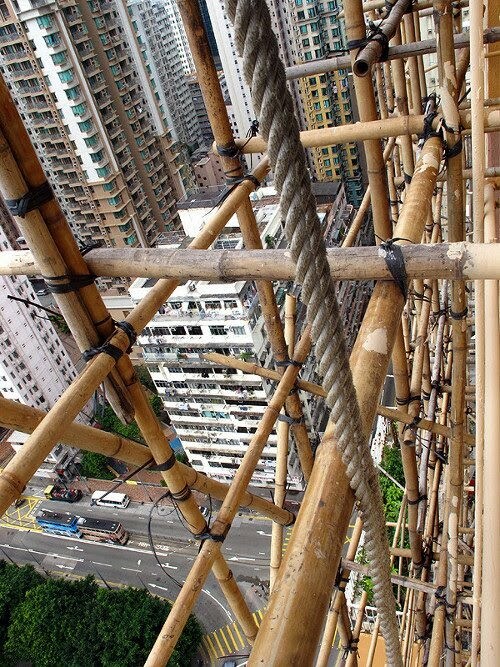 It is believed that scaffolding originated in ancient North Africa and China. 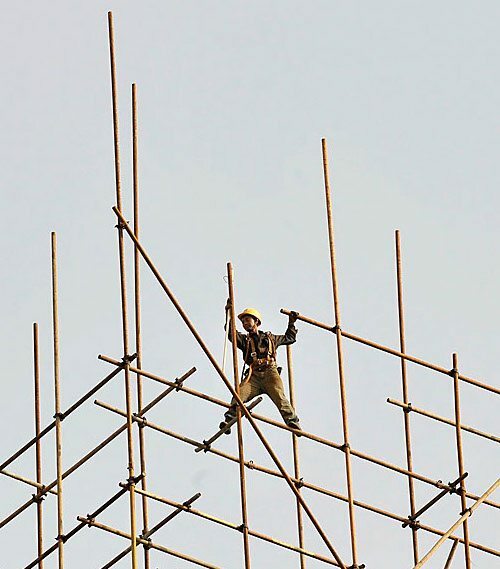 A Greek wine cup, also known as a kylix and dating back to the fifth century, contains an image of a statue of a warrior within a scaffolding. 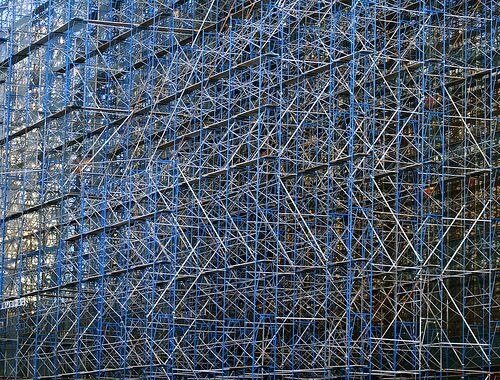 Scaffolding today is mainly made of metal pipes. 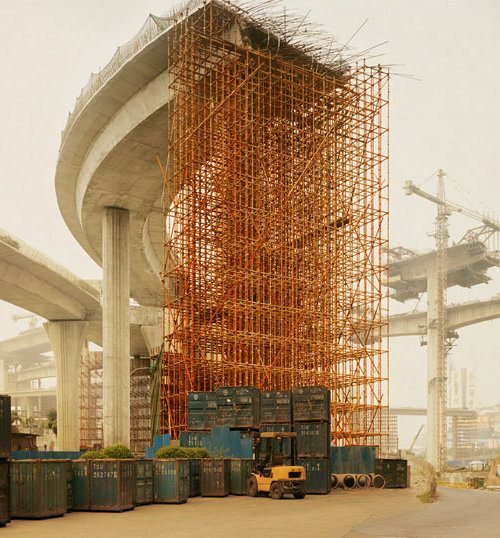 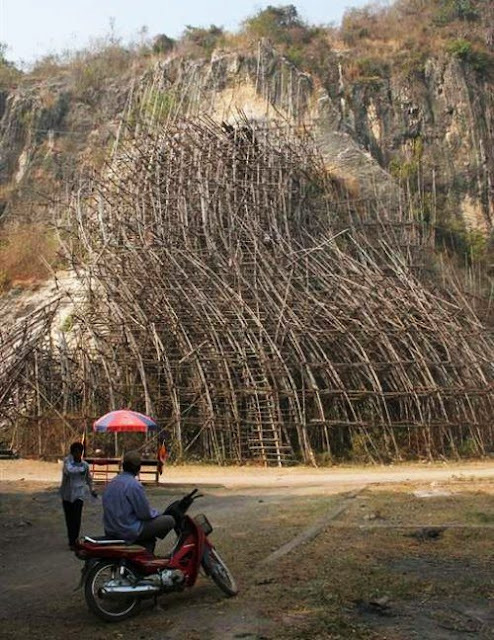 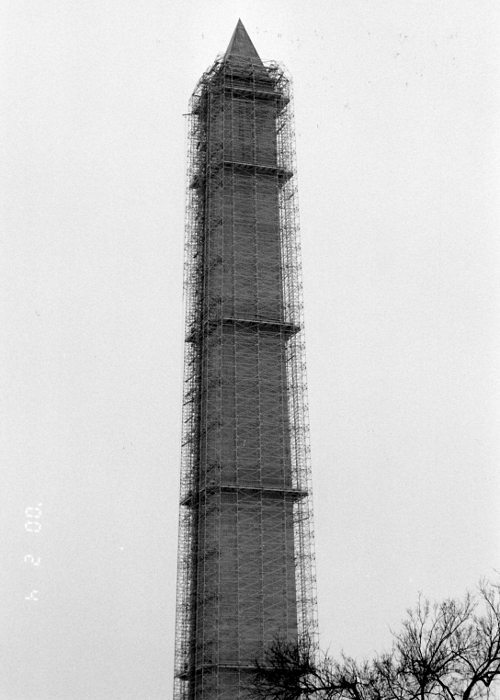 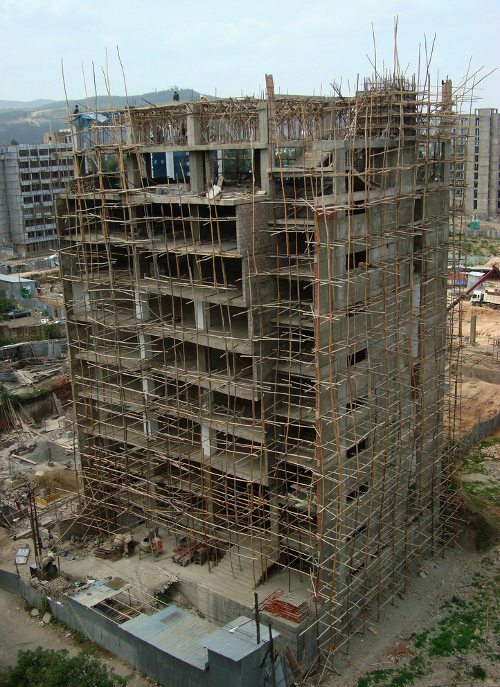 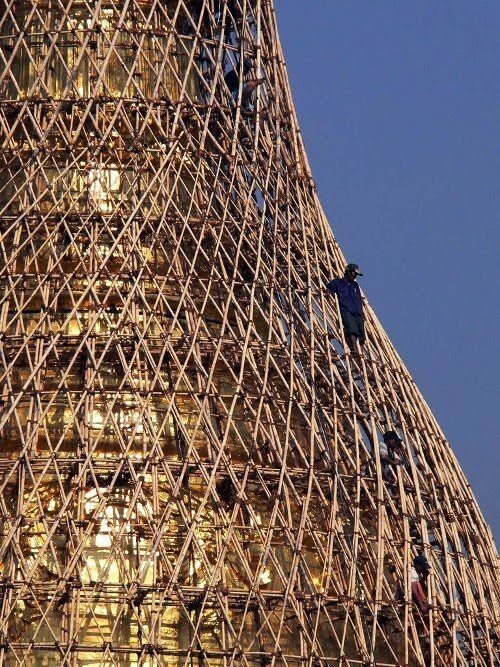 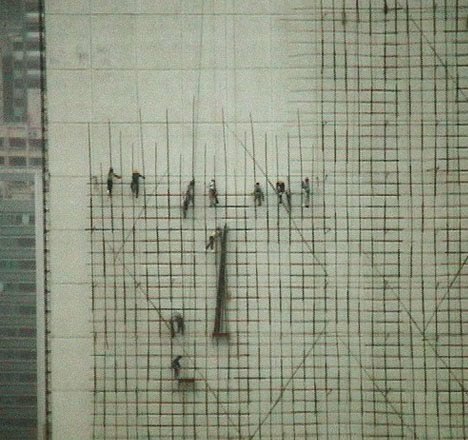 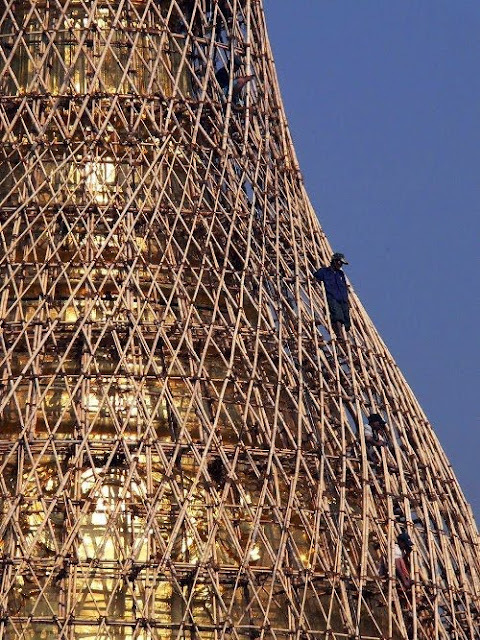 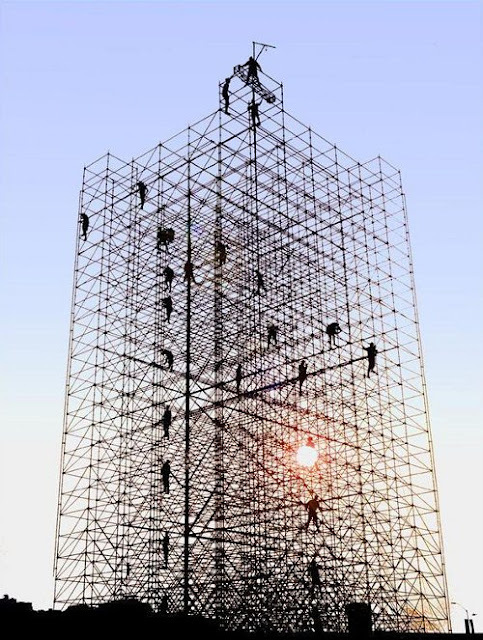 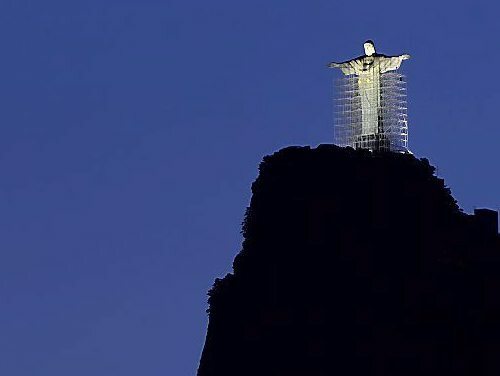 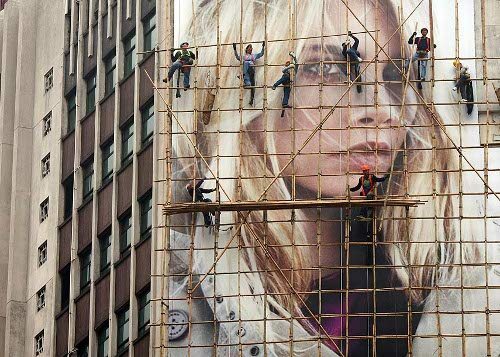 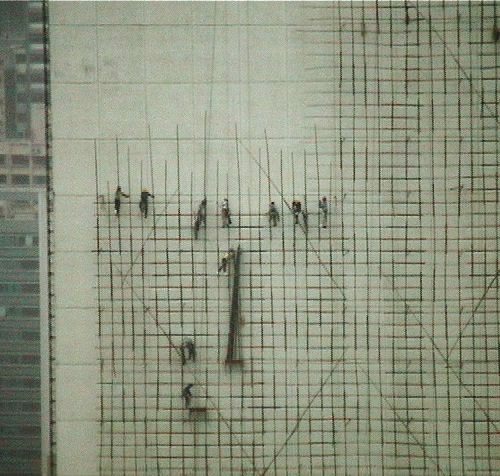 But in some parts of Asia, scaffolding is made of bamboo and is even used when building very tall skyscrapers. 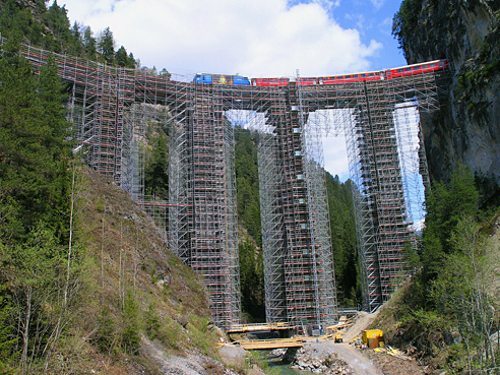 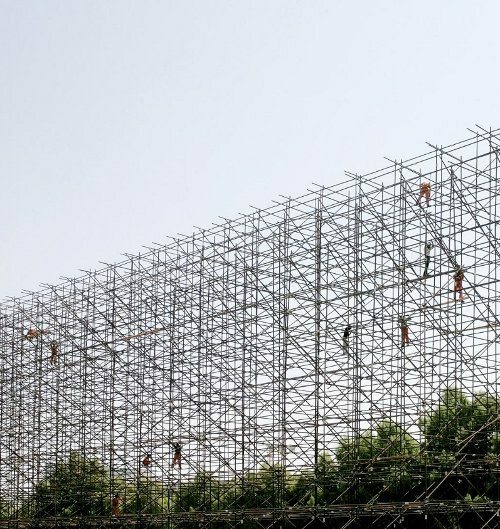 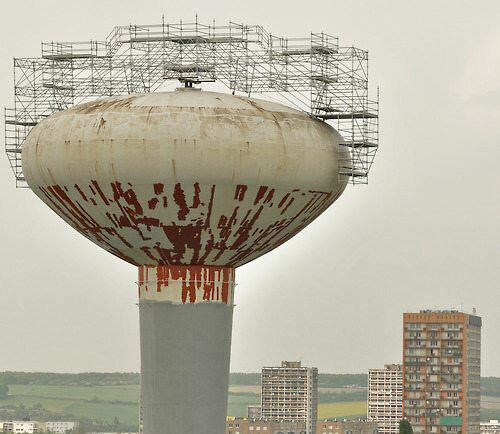 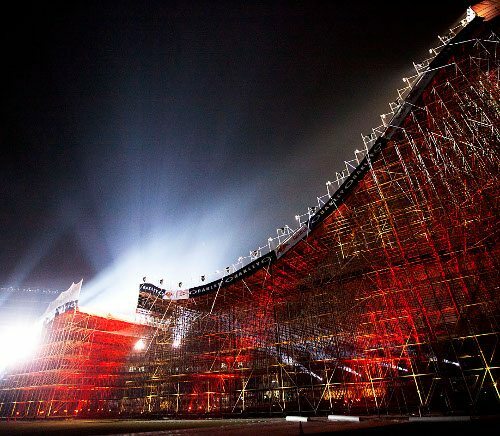 This is extreme scaffolding, but to most scaffolders it is just another day at the office.